Celebrated on March 30, National Doctors’ Day is an annual event to honor the service of physicians across the country. While many of those that work in the healthcare profession know about this special day, there still exists a lot of unknown information about its origins. Why was March 30th chosen to celebrate Doctors’ Day? Some say that March 30 wasn’t chosen arbitrarily but is linked to the day in 1842 when Dr. Crawford W. Long administered anesthesia to a patient for the first time. This revolutionized how surgery was performed from that day on. Physicians Working Together (PWT) was founded in June 2015 to provide a platform for doctors to collaborate and find solutions through shared experiences to improve patient care. PWT started National Physicians Week in 2016, and this week was declared an official national observance in December of that year. Why Should We Celebrate Doctors’ Day? There’s no question why we celebrate doctors for a whole week. Doctors provide quality care all across the states at all hours of the day—listening to symptoms, talking with patients, dealing with high-stress situations and making critical, life-saving decisions. Physicians, today, require rigorous credentialing and education before they can practice. They have to complete a four-year undergraduate degree followed by four years of medical school. After that, physicians that want to increase their specialized skill sets have to complete three to eight more years of internships and residencies. However, this schooling does pay off. Most physicians work in either solo practice or in hospitals (21 percent each). Another 21 percent are owners or part owners in specialty practices. Another 14 percent work in a practice owned by a hospital, while 14 percent work in a private practice owned by another physician. Finally, 9 percent work as locum tenens professionals. According to the US Bureau of Labor Statistics, the physician job industry is expected to grow up to 18 percent by 2020. However, there will also be a shortage in professionals due to the increased demand for more physicians. By 2025, it is anticipated that there will be 130,000 vacant physician positions. 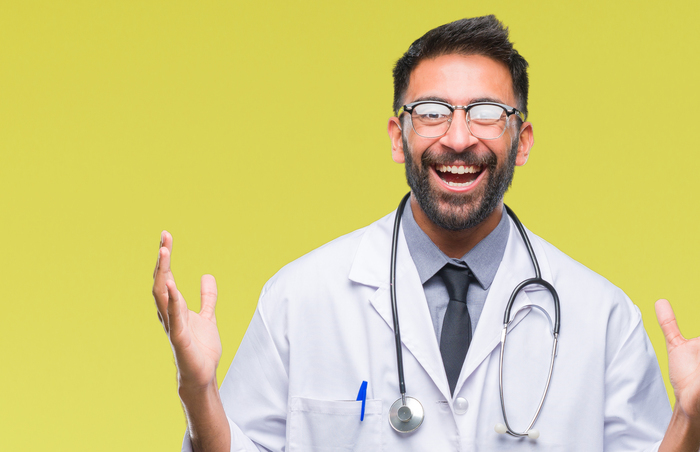 If there is a role for National Doctors’ Day, it’s to remind us that although the journey to physician-ship is difficult, increasing the number of physicians will better serve our nation’s most pressing health needs. Throughout the week, take time to share your gratitude for your physician or fellow professionals. Not sure how? A simple gesture can go a long way! Give red carnations, the flower that continues to be a symbol of Doctors’ Day. Mail greeting cards or email a thank-you. Get creative with small tokens of appreciation, like chocolate or stress balls. Say thanks online, change your profile picture, and encourage your social media followers to spread the word with #NationalPhysiciansWeek #NationalDoctorsDay #ThanksDoc #PhysiciansWorkingTogether #WhiteCoatWonders and other hashtags. Happy Physicians Week & Doctors’ Day! From the team at VISTA, Happy National Physicians Week and Happy Doctors’ Day to all of the dedicated physicians out there.